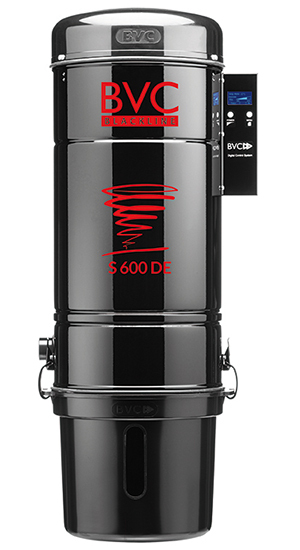 Central vacuum cleaners BVC BLACKLINE convince with their technical refinement. Vacuuming with or without filter bag? You decide! Central vacuum cleaners BVC BLACKLINE convince with their technical refinement. Due to the black high-quality powder coating the central vacuum cleaner will be the eye-catcher in your utility room. 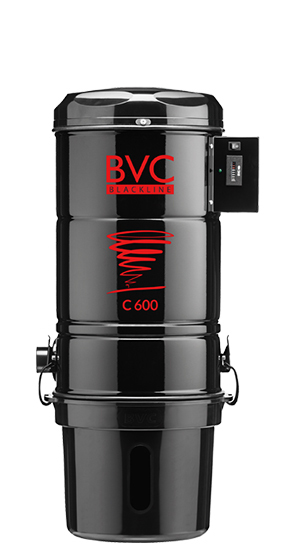 All models of the BVC Blackline are available with analog and digital control system. New from 01.05.2017 – the new CORDURA® filter is standard in all BVC BLACKLINE vacuums. The new two layer motor protection filter consists of a CORDURA® fibre on the inside, which stops fine dust particles from entering the motor compartment. The satin fabric on the outside has a smooth surface. Dirt simply falls off and is collected in the dust container. Models with digital control system offer you more comfort and safety. The menu in the digital electronic box has five different functions which can easily controlled with two buttons. The display shows, depending on the menu you choose, different views. Beginning from the initial commissioning the display provides you with information at the push of a button.